Steve Head is a full time Keynote speaker, inspirational trainer, coach and author. 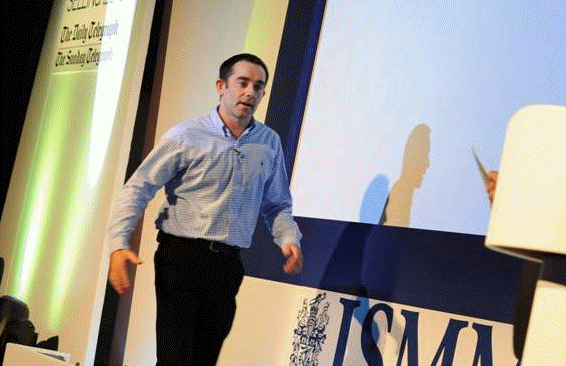 He is known by his clients as a dynamic speaker with practical ideas that simply work! Over the past 15 years Steve has delivered over 1700 in the UK and Europe to help organizations, teams and individuals deliver sustained personal and business success, and is currently one of the most sought after performance coaches in the UK. Audiences will experience fast paced interactive and practical sessions. The focus is on personal and staff motivation under pressure. The message: build on strengths and talents to build self esteem and confidence in yourself and your workforce, raise your self awareness and understand the impact you have on others. Steve has worked with NHS Managerial & Clinical staff, Academy for Chief Executives, Institute of Sales & Marketing Management, Denplan / Simply Health, Haringey Council, Vodafone, Pharmaceutical companies, Schools, and University of Strathyclyde and Vlerick business School among others. He is also coach the England Wheelchair Rugby league team.